Adaptation Music welcomes Italian producer Daniele Fiorino to the label for the first time with the solid two track ‘Back To Life EP’. Releasing music of his own under various guises and ghost producing for others since 2005, Calabrian native Daniele Fiorino’s consistent sound has graced many international record labels, most notably Jay-J’s Moulton Music. 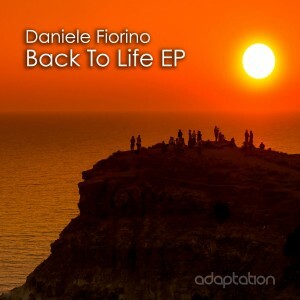 ‘Back To Life EP’ contains two solid dancefloor friendly club tracks with a crossover sound. The first track ‘Around The Sun’ combines a killer garage-esque bassline and captivating synth stabs and its versatile sound is sure to appeal to a wide range of DJs and dancefloors. The flip side of the EP ‘Living In My Time’ is a more funky affair with a Balearic feel comprising of hypnotic piano stabs and another solid bassline. If you want peak time, quality house music with a crossover appeal that’s guaranteed to work the floor, then don’t miss ‘Back To Life EP’! !